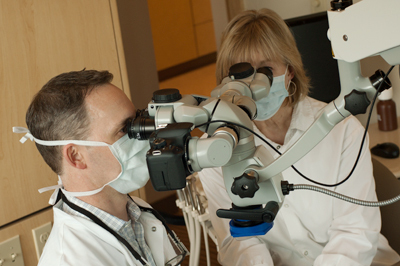 Following his undergraduate studies at Kenyon College in Ohio, Dr. Goessman received his Doctor of Dental Surgery from Northwestern University, Chicago, in 1992. After a two year General Practice Residency at the University of Maryland Hospital in Baltimore, he completed his postgraduate studies in Endodontics at the University of Maryland Dental School concurrently with his Masters of Science in Immunology. Dr. Goessman is a current member of the American Dental Association, Washington State Dental Association, Kitsap County Dental Society, American Association of Endodontists, Washington State Association of Endodontists, and Bainbridge Island Dental Society. 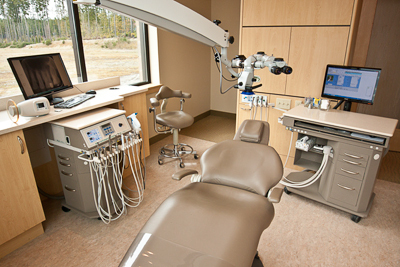 Our move to the Cascade View Medical Center has allowed us to incorporate proven technology into our practice. Electronic records allow us to communicate more efficiently with your referring doctor, who will receive our low dose digital radiographs and images electronically with our treatment report.